While smartwatches are wildly popular, they’re basically useless to a great deal of the population. Unless your schedule is just jam-packed every day, you don’t really need a digital wristwatch to let you know if the phone in your pocket just went off, you’re getting a call, or if the email you just got was important or not. If you are one of those people though, and are in the market for one of these wrist devices, then good luck finding the one that fits all of your specifications. 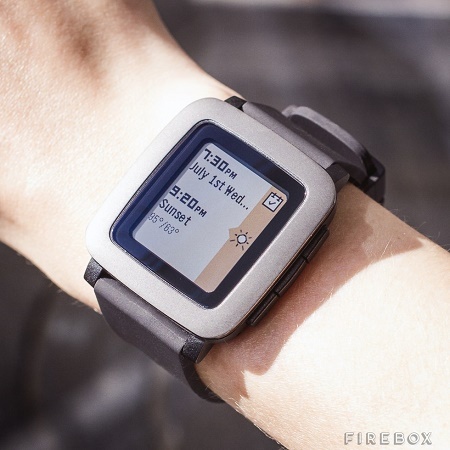 While none of them are necessarily cheap (and if they are, it normally comes at a price of quality), the Pebble Time seems like a good option. Just last month I met a friend who was singing its praises, even after constant use. Its e-ink display is customizable, and the strap and body are ergonomic, making sure that extended wear isn’t going to wear on you after a while. Thanks to the type of display, you’ll be able to see the screen whether it’s a bright summer day or dark evening. This is water resistant with activity tracking capabilities should you want to wear this on a run. It has time in the name, because it shows you information from the past, present, and future, allowing you to choose which you want to look into. The battery can last up to 7 days, which isn’t too bad when you compare it to your smartphone. This is going to cost you around $280, and is available in red, white, or black.